and is a great alternative to wood. Many laminate flooring styles look so realistic it’s almost impossible to tell it’s not hardwood. It is made up of several different layers providing great stability, durability and sound absorption. Visit our Fort Collins showroom and let one of our on-staff designers guide you in all the different brands and features laminate flooring has to offer. Laminate floors are generally more affordable than hardwood, but some high end laminates may be comparable in price to low-end hardwood. 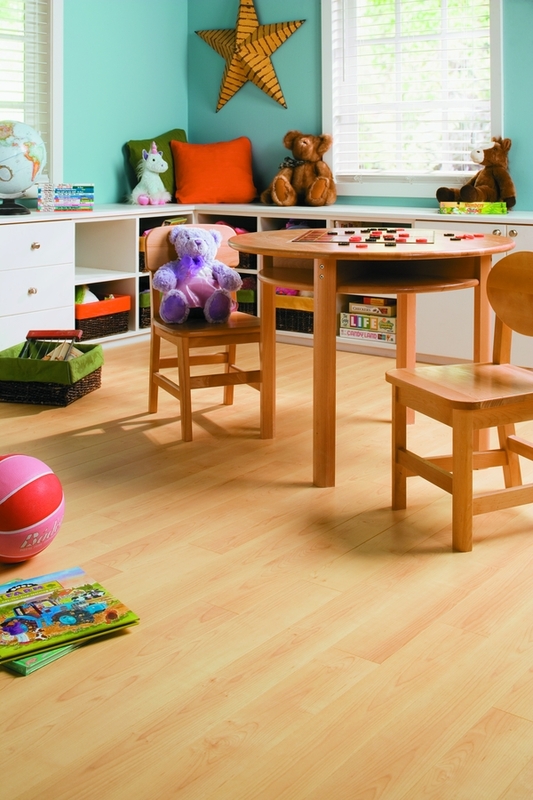 Laminate is incredibly durable resisting scratches, impacts and staining so it does well in an active household with kids and pets. It also resists fading and is easy to clean. Many laminate flooring styles also include a light commercial warranty which tells you just how durable it is. Laminate floors are comparable to hardwood floors in that they are much warmer than tile. If you are concerned about sound, you can simply choose a different underlayment pad to greatly reduce sound transfer. Laminate floors are very easy to maintain and care for. The melamine impregnated surface with aluminum oxide makes it resistant to dirt and dust. Ordinarily vacuuming or sweeping is usually sufficient to keep the floor clean. If needed, occasionally clean with a damp cloth, microfiber or terry cloth head using a light mist of laminate floor cleaner. Protect your investment. Now that you have decided on the perfect materials and design, choosing your craftsman to install them matters. Whether you are a do it yourselfer or hire installers for your flooring project, your subfloor, underlayment, tools and skills matter. They can make or break your project and your budget! Avalanche Floor Coverings offers a “worry free” installation with a lifetime warranty that it will be installed right with highly skilled and experienced craftsman using the right tools and materials. We invite you to our Avalanche showroom to view hundreds of exciting style and color options available to you. We provide installation of any products we sell.